Hi everyone! 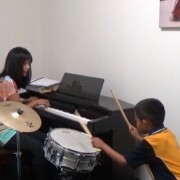 I’m Iani Sujono, your Registered Music Therapist from Sound Expression in Sydney Australia. Here are my 5 tips on how you can use music to encourage your young child’s vocal exploration and language development. Even if your child isn’t yet able to use words, it’s ok – just have fun using your voices together, use lots of facial expressions as you connect. The purpose of this exercise: Rewarding engagement. Release frustrations and see the joy as the musical conversation makes your child feel more at ease about using their voice to connect with you. 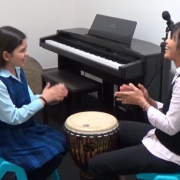 Today is World Music Therapy Day – a perfect time for us to share this clip on what can be achieved through music therapy! A scaffolding technique to help children with additional needs – the subtleties matter! https://soundexpression.com.au/wp-content/uploads/2016/05/Picture11.png 552 915 --ed1t-OR1-- https://soundexpression.com.au/wp-content/uploads/2015/07/logo-sound-expression.png --ed1t-OR1--2016-05-17 21:39:582016-05-18 09:04:15A scaffolding technique to help children with additional needs - the subtleties matter! 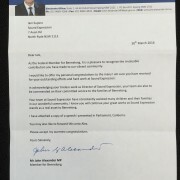 Not only did John Alexander MP visit our clinic last month, we received this wonderful letter from him last week. 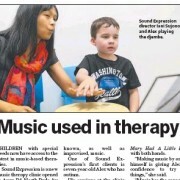 In his speech at Parliament House in Canberra, John advocated for music therapy and the work that we do at Sound Expression! 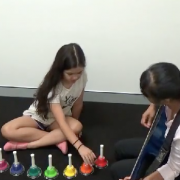 How can music help children with autism? At our music therapy clinic, we use music to address the developmental goals of children with special needs. 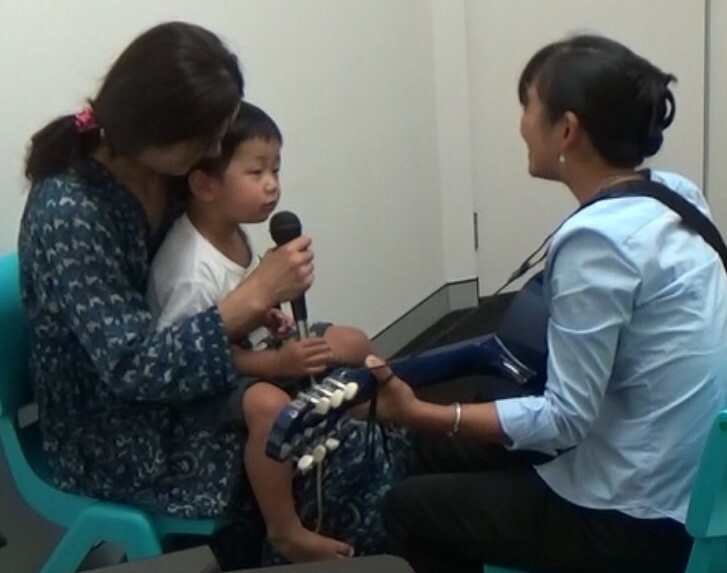 This video shows how music can help children diagnosed with Autism Spectrum Disorder. 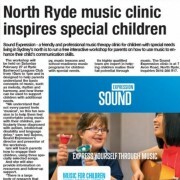 https://soundexpression.com.au/wp-content/uploads/2016/04/How-can-music-help-children-with-autism.jpg 416 738 --ed1t-OR1-- https://soundexpression.com.au/wp-content/uploads/2015/07/logo-sound-expression.png --ed1t-OR1--2016-04-13 23:41:242016-04-14 00:37:04How can music help children with autism? A simple clapping game has multiple benefits, so go ahead and try it with your child! Twinkle Twinkle Little Star – it’s beautiful and fun! 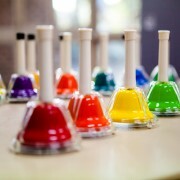 Here’s a simple arrangement to Twinkle Twinkle Little Star using 8 coloured bells. https://soundexpression.com.au/wp-content/uploads/2016/02/Screen-Shot-2016-02-16-at-3.47.47-PM.png 348 549 admin https://soundexpression.com.au/wp-content/uploads/2015/07/logo-sound-expression.png admin2016-02-16 15:38:362016-02-16 15:49:22Twinkle Twinkle Little Star - it’s beautiful and fun!